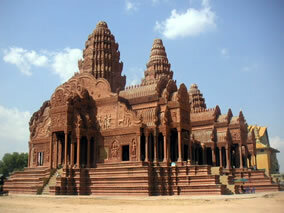 Oudong is located about 50 km away from Phnom Penh. Known to be the capital city around the 17th to 19th century, there are a few things left to see from this site. 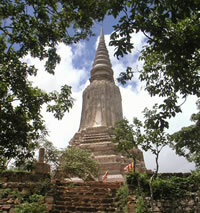 There is a huge Buddha image that was destroyed during the war and the work has been restored already. Considered to be the new Angkor Wat, Oudong is mostly inhabited by the Khmer Muslims known as the Cham. •	Minimum 2 pax per tour. If you wish to go on a private charter (one guest and guide only) and as per our tour policy, we will charge you on a 2pax basis.